Weaving and Badges and Hats, Oh My! "Do YOU have a hat? To keep the snowflakes off your head?" Our focus book for the past few weeks has been Do YOU Have a Hat? by Eileen Spinelli. People wear hats for many different reasons. This is a fun book which introduces historical figures by discussing their hats! Since we have traveled to Antarctica this month, we thought of the many hats explorers and scientists must wear when in the Antarctic! Brrrr!!! 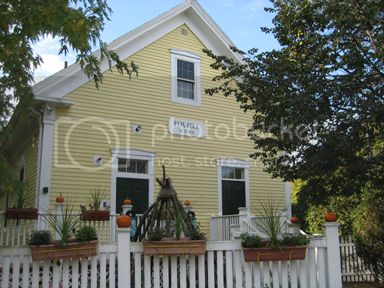 for painting far into the night." During group-time we discussed how almost all fabrics are made of woven items, and we would create some weaving of our own. 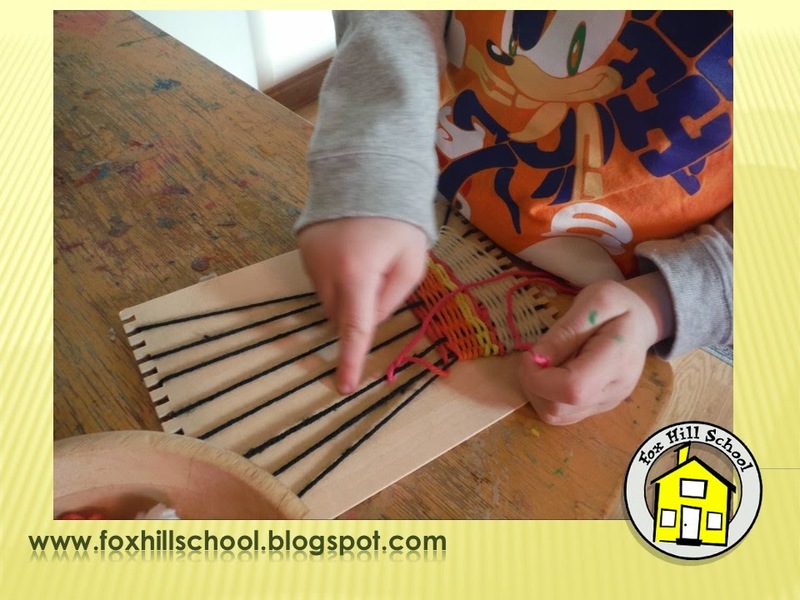 All week children at the preschool have been visiting the woodworking table for some collaborative weaving. 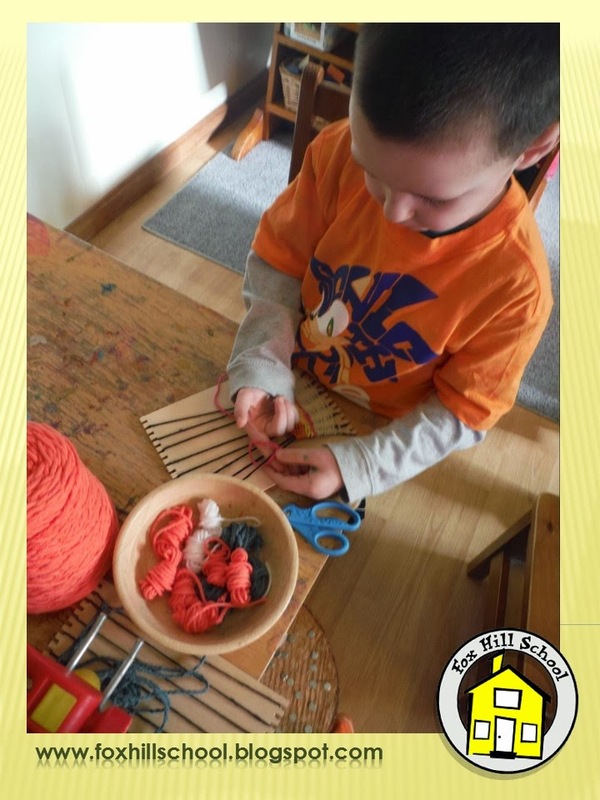 We introduced the language of the loom.....warp & weft & web....even simpler vocabulary such as yarn and thread. As the children were weaving we used the proper terminology to describe how to weave the weft across the warp, and to wrap the weft around the warp to create selvage edges (edges that won't unravel). 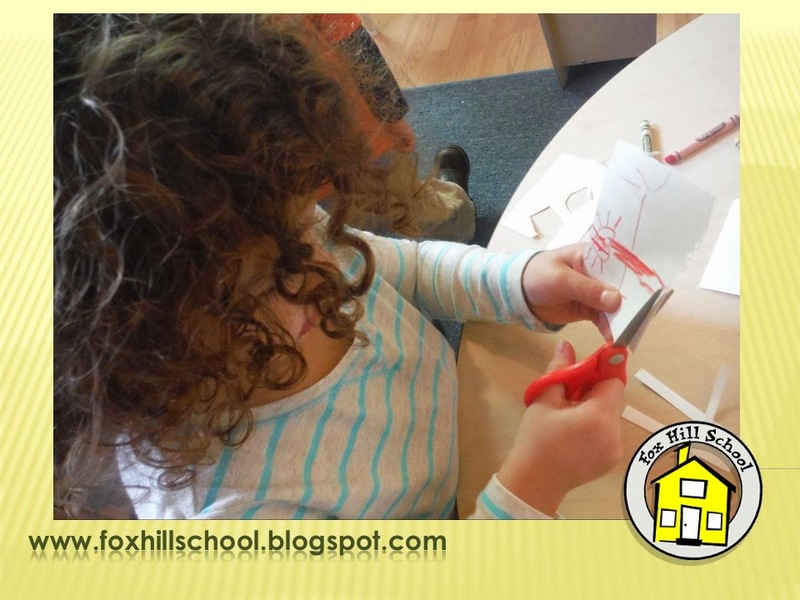 During all of this the children are developing their fine motor skills, following directions, creating/talking about patterns, and completing something outside of their comfort zone! We had several children stay at the weaving for most of the morning choice time! They were so proud of their work that we shared during one of our group times and they demonstrated for the group their "mastery "of the over/under/over/under (or as they called it during their work "lift & skip/lift & skip"). 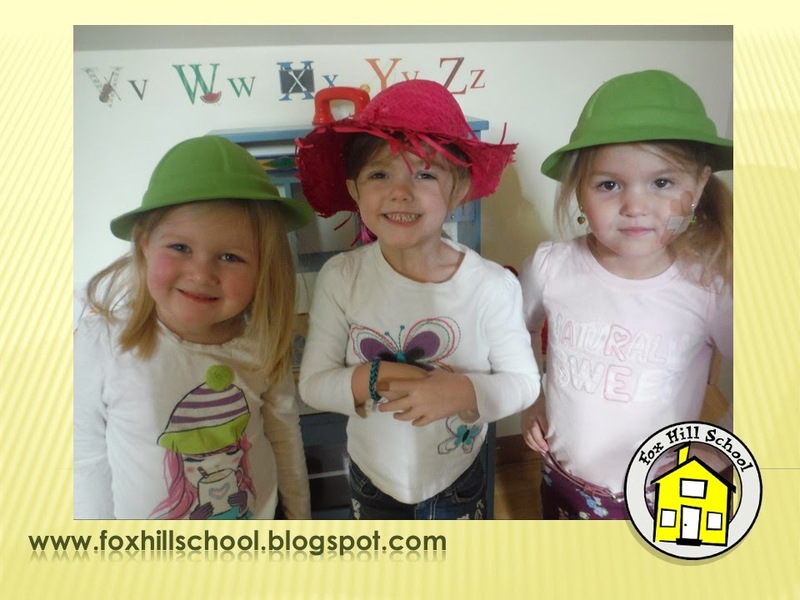 In our Dramatic Play area we put out an assortment of fun hats. Two of the most popular hats were the British Police (Bobby) helmet and the Motorcycle Officer helmet. Once the children donned these hats they wanted to move around the room searching for "bad guys". 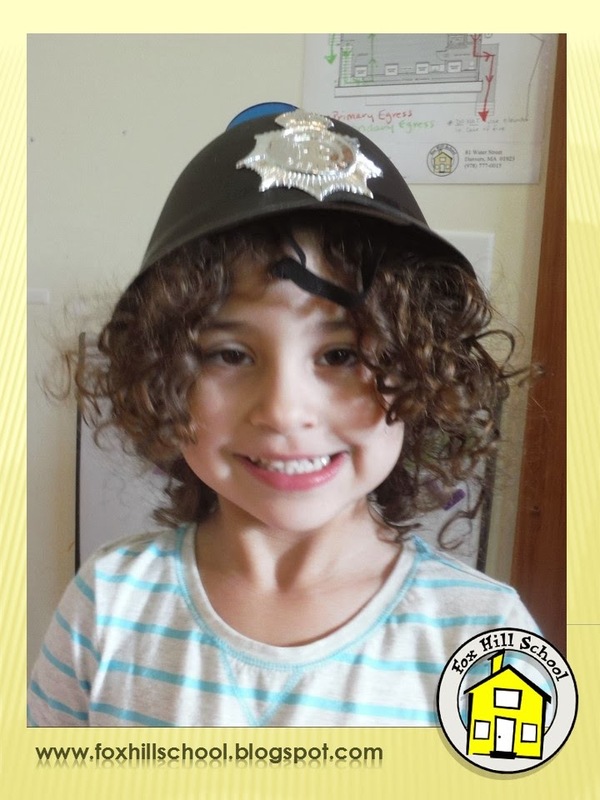 Some of the children were disappointed they had to wait their turn to be a police officer. We asked them what other things identify a person as police? The badge! The group struggling to wait their turn with the helmets were easily distracted once they got busy designing, coloring and cutting their Detective Badges! 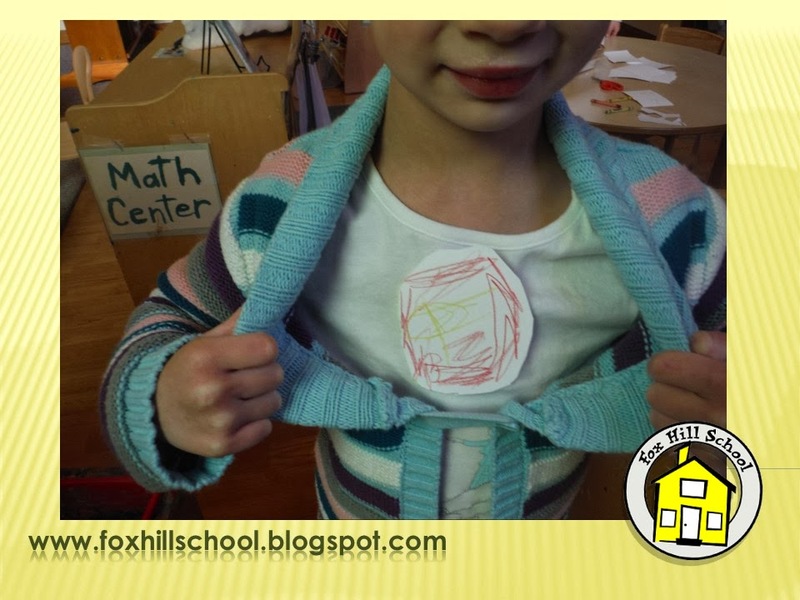 They had a lot of fun with this spontaneous fine motor/literacy activity, and didn't even notice if they never had a turn that morning with a helmet! If you would like add any of the books we are reading right now at the Fox Hill School to you collection, click on the pictures below to purchase from Amazon!